Pennsylvania is a state that symbolizes American revolutionary history. Nicknamed The Keystone State, Pennsylvania is one of the thirteen original founding states of America and played a key role in the economic, social, and political development of the United States. 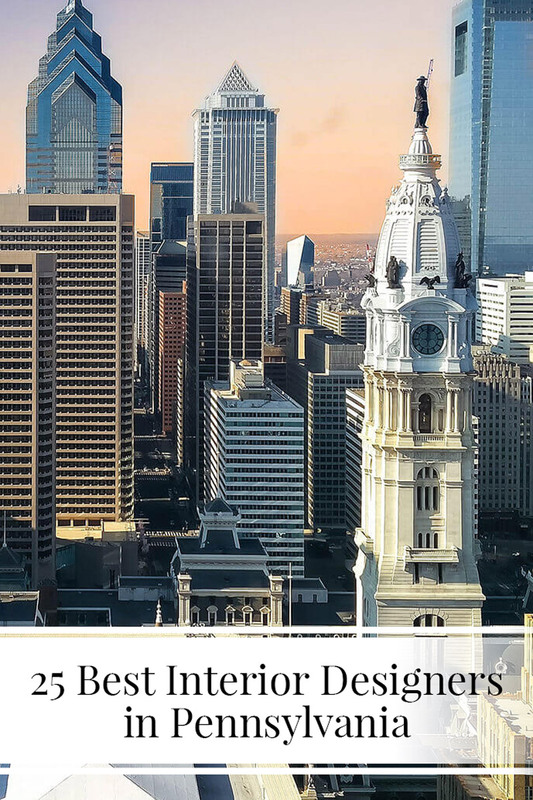 As well as history, the state is full of brilliant architecture, art, and culture, from Pittsburgh’s Carnegie Museum of Art to the iconic Liberty Bell and Independence Hall in Philadelphia. 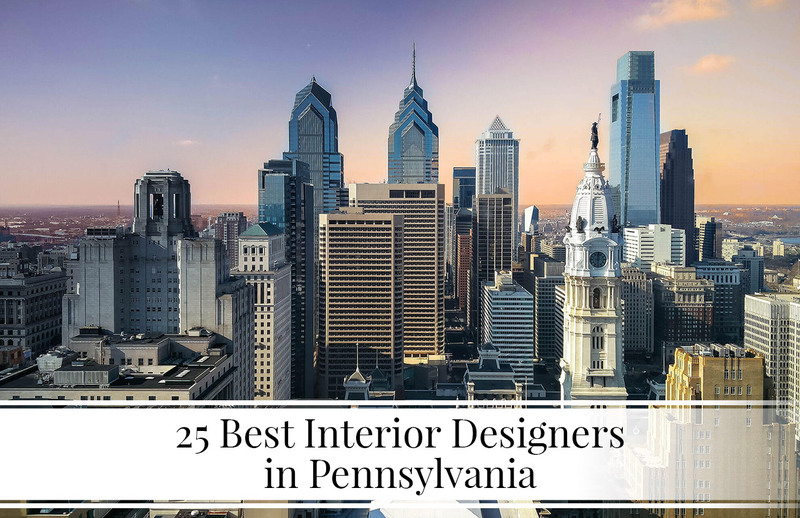 We investigated the interior design talent across the historical Keystone State to provide you with our pick of the best 25 interior designers in Pennsylvania. Founded in 2011 by Phoebe Schuch, PS and Daughters is a residential and commercial interior design firm, based in Philadelphia. Dedicated to transforming the way clients live and work, the team at PS and Daughters create interpretive designs that match clients’ lifestyles. Fashioning interiors that are stylish and follow the fundamental elements of interior design, such as symmetry and harmony, Phoebe and her team continuously design elegant, on-trend interiors. The firm, who is building up a sizeable online following, has had a number of its works featured in online publications and has been awarded Best of Houzz Service and Design awards for the last three years. 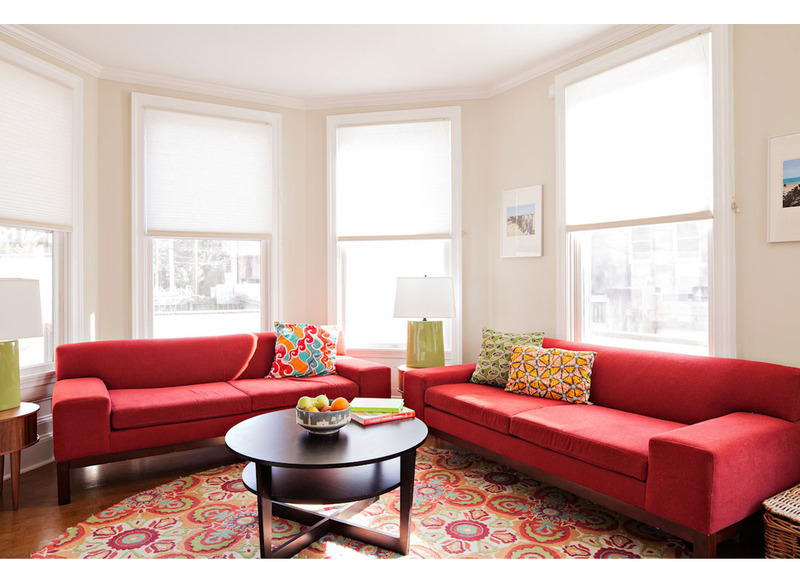 Environmentally-conscious residential and commercial interiors firm, Green Design Innovation, is based in Pittsburgh, Pennsylvania. Founder, Catherine Montague brings inspiration from her French heritage into her interior design projects, ensuring there is a mix of culture and style throughout. Designer, Mylene Robert, who works alongside Catherine, brings her creativity and years of experience into the projects she works on. With a ‘feelings-first’ approach to creating spaces, the team at Green Design Innovation work hard to understand each client and create environmentally friendly, harmonious spaces that are full of energy. 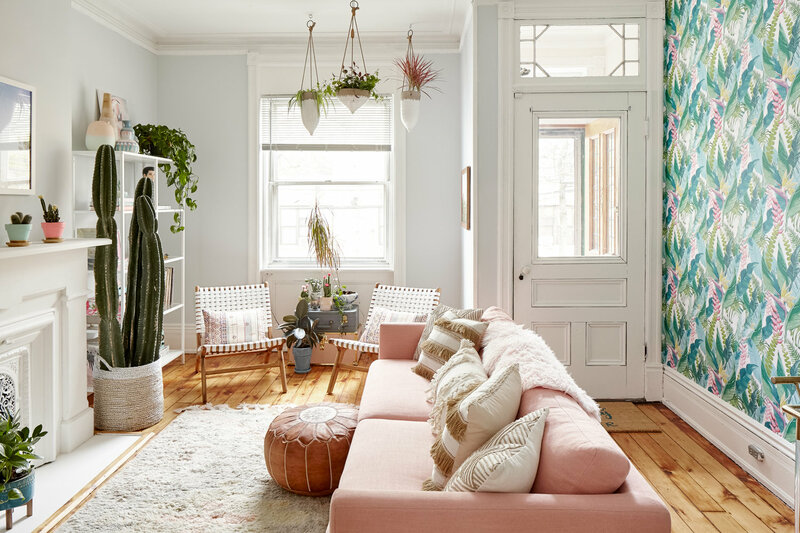 Hannah Dee is an interior designer from Philadelphia. 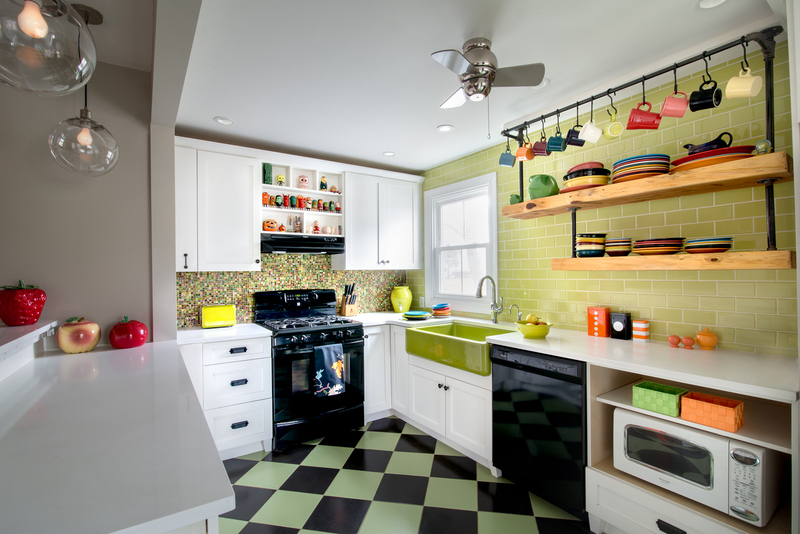 Hannah’s eccentric interior design style combines color, pattern, and quirkiness, often incorporating inspiration from different cultures, alongside unique objects and textiles. Believing that the interior design process should be a fun, enjoyable experience, she gets to know her clients to understand exactly how they want to live. Keeping her clients informed throughout the process and maintaining transparency guarantees a happy client and the perfectly designed space. This collaborative approach has seen her work featured in The Philadelphia Inquirer, The Chestnut Hill Local, and The Montgomery Newspapers. Katie Armour is an interior designer based in Malvern, Pennsylvania, who specializes in residential projects. 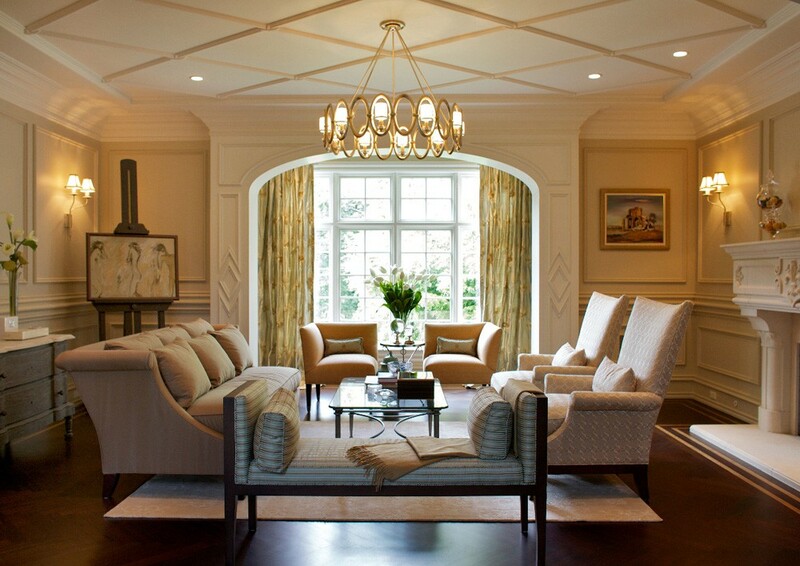 Katie’s signature design style sees classic, traditional interiors combined with luxury, modern elements. Offering a range of services on projects from small urban interiors to large estate homes, Katie is passionate about creating warm, comfortable spaces specially tailored for each client. Through understanding the importance of the client-designer relationship, Katie has earned a number of reviews and recommendations as well as a number of repeat clients. 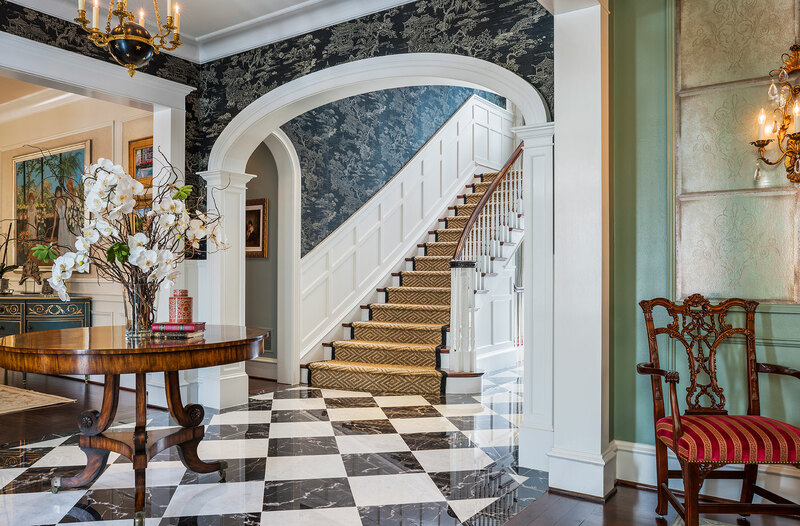 Philadelphia-based Kelly Nelson Designs is a firm that’s passionate about creating elegant, functional and attentive spaces. 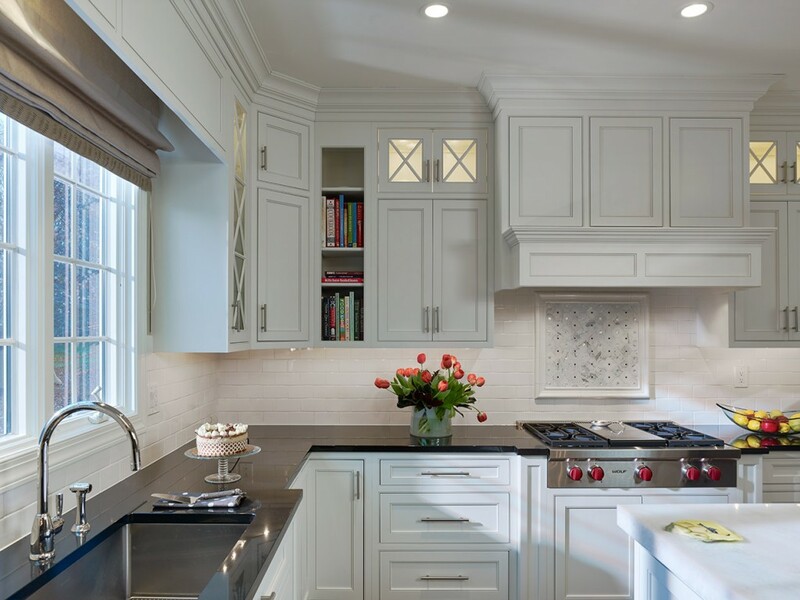 Believing that beautiful design is all in the detail, the firm works with a handful of skilled professionals who take pride in their work, just like Kelly’s clients take pride in their homes. 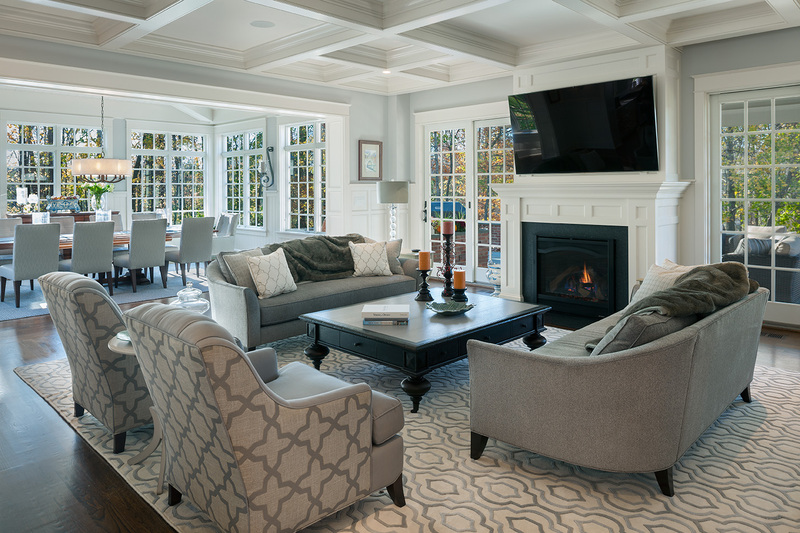 Each space designed by Kelly Nelson is functional and timeless with an underlying style of classic elegance, this ensures no home interior becomes dated when a particular trend goes out of fashion. 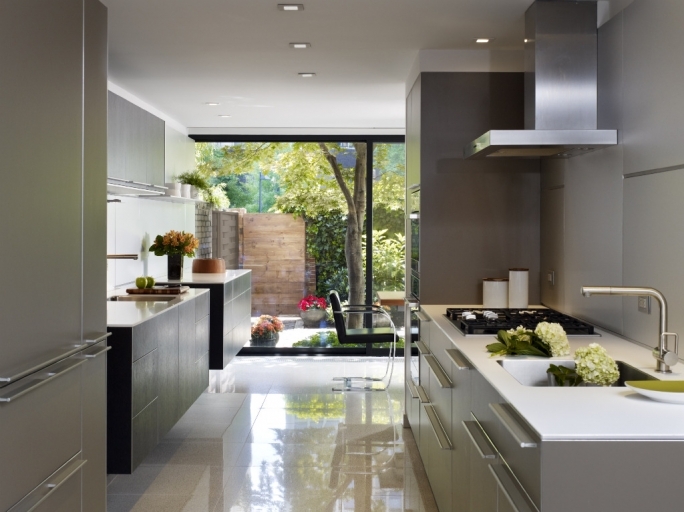 Situated in Philadelphia, K Yoder Design specializes in architecture and interior design. Owner, Kevin Yoder has been interested in architecture since his childhood and values quality architecture and the place it serves within the community. With over 20 years’ experience and knowledge in architecture, interiors, engineering, and construction, Kevin has the skills to manage any project, regardless of the size. 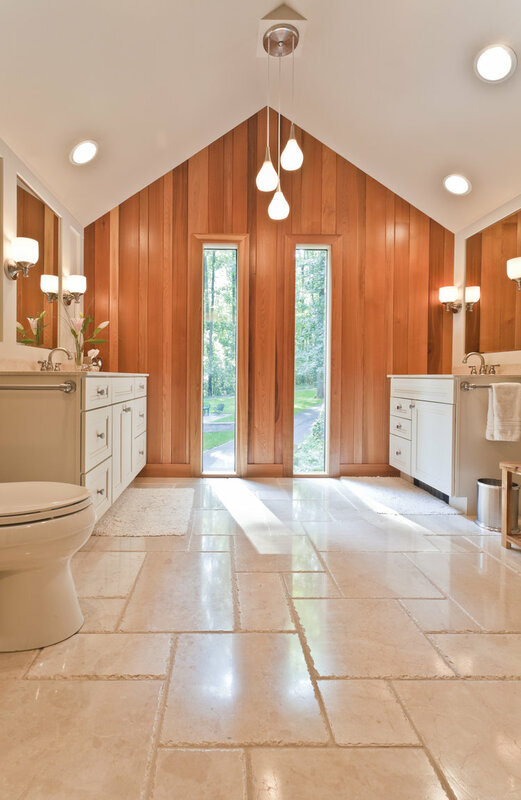 Each K Yoder interior is modern and minimal, with clean lines and detailed finishes, altogether creating a sanctuary for each of his clients to live in. 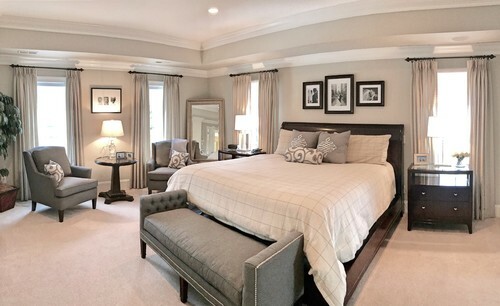 Larina Kase Interior Design is an interior design firm based in Wayne, offering a full range of services for both residential and commercial clients. The company’s services include a client-designer shopping trip to find the perfect products, accessory consultations and furniture installation. Founder, Larina, has a passion for design and the same goal for each project: to create beautiful, functional and unique spaces that incorporate classic features alongside clean lines and artistic elements. The work of Larina Kase and her team has recently been recognized by online publications Fresh Home, Philadelphia Magazine and Mainline Today. 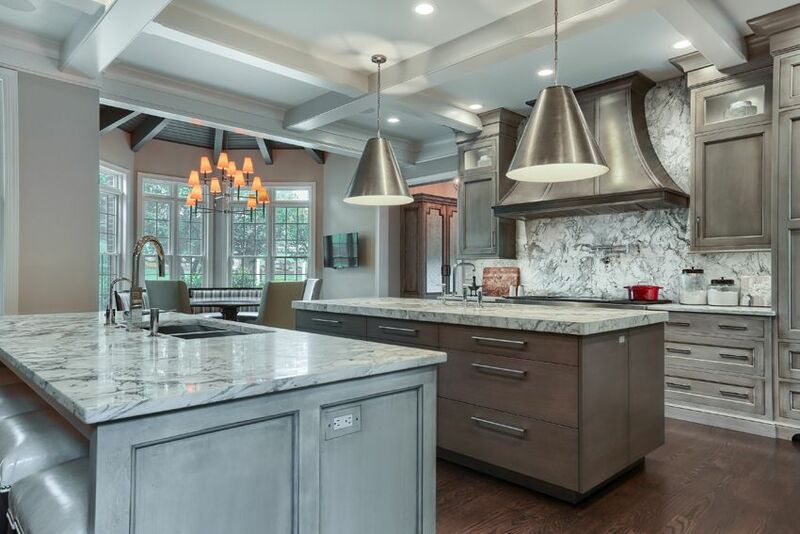 Meadowbank Designs is located in Wayne and headed by interior designers Laura Buchner and Kirsten McCoy. 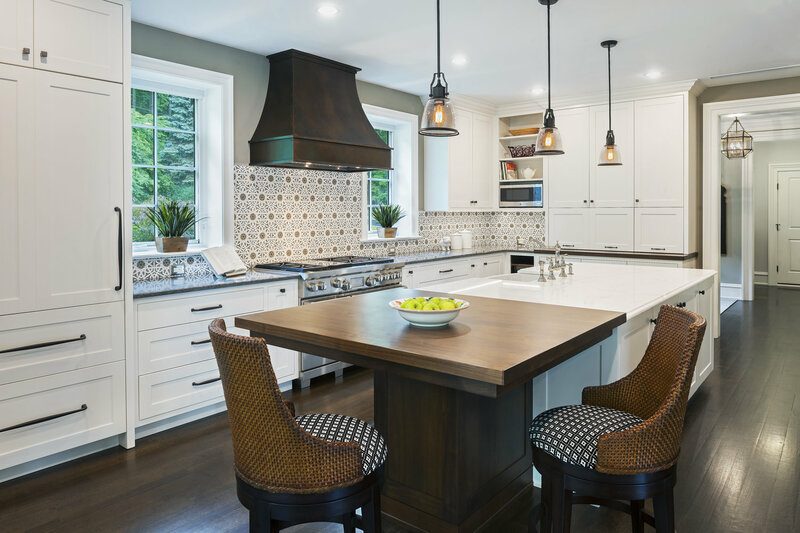 The firm specializes in residential design and is recognized for re-defining traditional interior decor by adding modern touches and classic influences. By combining high-quality materials with fine detailing, the team at Meadowbank Designs is able to complement the original architecture of a building whilst giving it a modern twist. 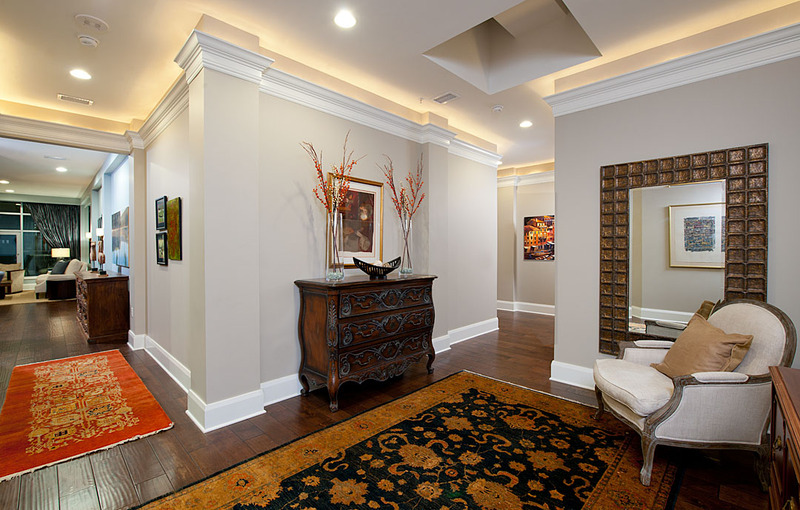 Meadowbank Designs has won various awards, including first place in the 2016 Philadelphia Interior Design Awards and a 2016 Trumbauer Award from the Institute of Classical Architecture and Art. 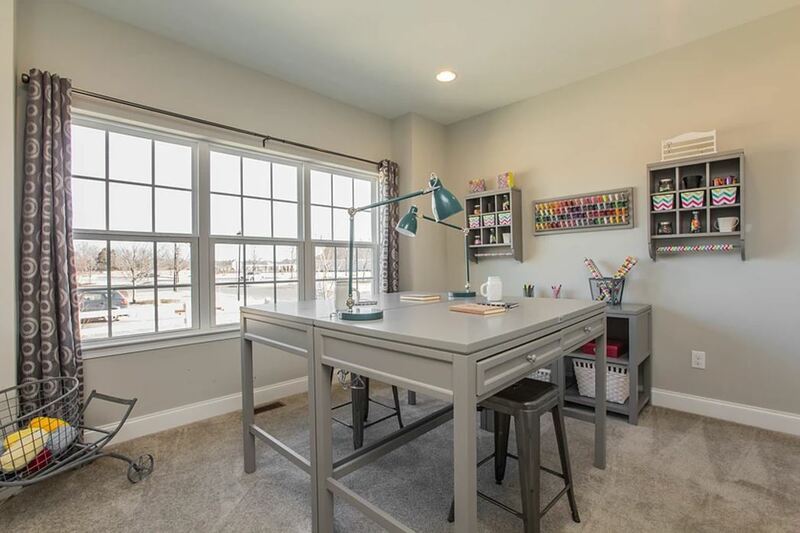 The Painted home is a design firm owned by DIY-enthusiast, Denise Sabia, who has a creative, hands-on and budget-conscious approach to the design process. Denise utilizes the furniture her clients already own, or seeks out vintage items from thrift stores and turns them into something special that her clients can cherish, without the added expense of brand new furniture. 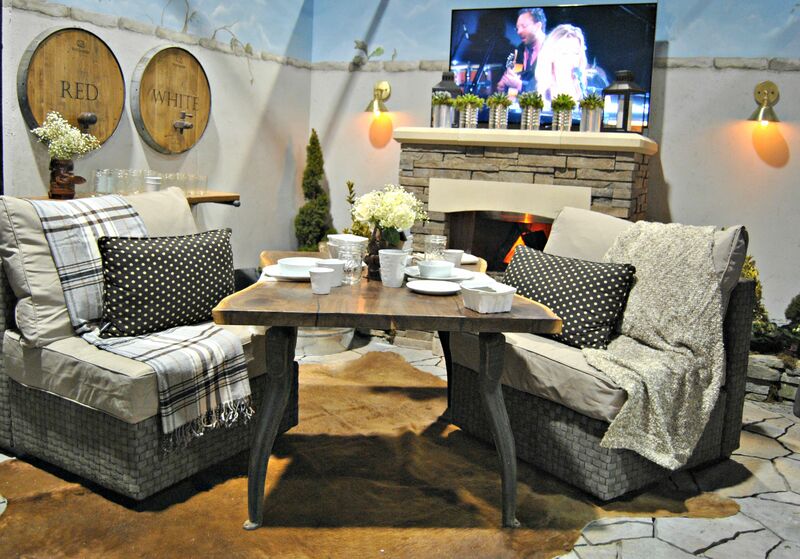 Denise frequently contributes to Country Living’s online publication and her thrifty design approach has led her to teach some of her craft skills on various local TV channels. Previous clients of The Painted Home have commended Denise’s down-to-earth, enthusiastic personality and creativity. Interior designer Maria Viola-Kuttruff is the founder of Philadelphia-based Viola Interior Design. Focusing on her clients’ needs, Maria strives to create warm, inviting spaces that function well and are aesthetically pleasing. Utilizing her knowledge of design history, Maria combines modern and traditional styles to create elegant yet practical homes for her clients to treasure. Maria’s passion for interior design doesn’t end in her client’s homes, she also regularly teaches Design at Westphal College of Media Arts & Design, Drexel University, which allows her to stay up-to-date with the interior design world whilst inspiring others to follow the same creative career path. 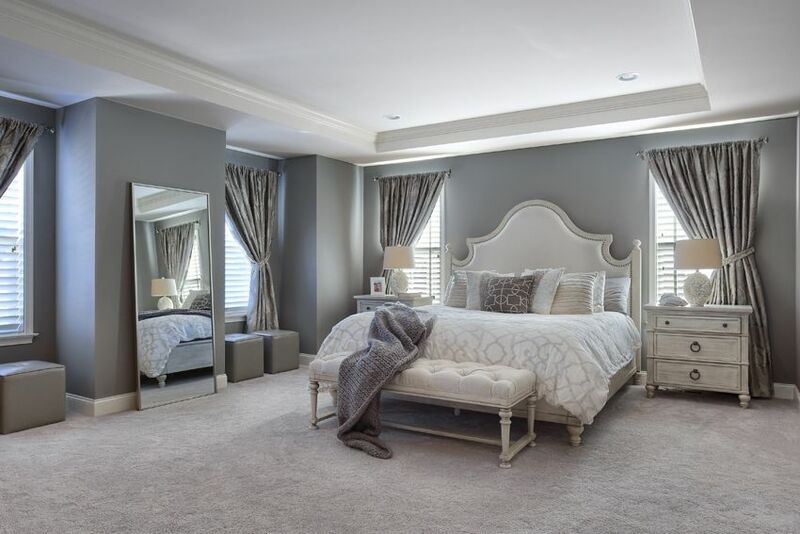 Located in the Pennsylvania village of Huntingdon Valley, Bella B home takes the hassle out of re-decorating. The team, led by Blair Britt and BettyAnn Kraft are passionate about turning client’s properties into luxurious, comfortable, tailor-made homes they love to spend time in. The full-service interior design firm collaborates with clients from the start to finish of a project, taking into account their own personal goals. 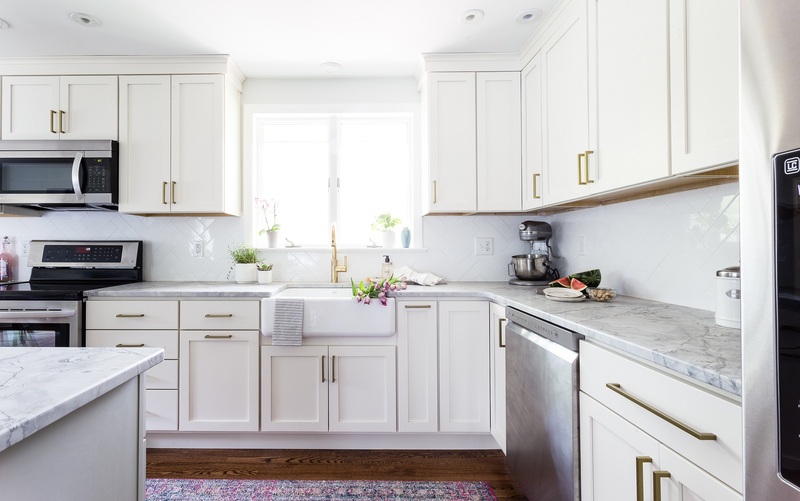 To keep previous and potential clients in the loop with projects they are working on, and the goings on in the interior design world, Bella B Home also hosts a blog dedicated to everything interior design. 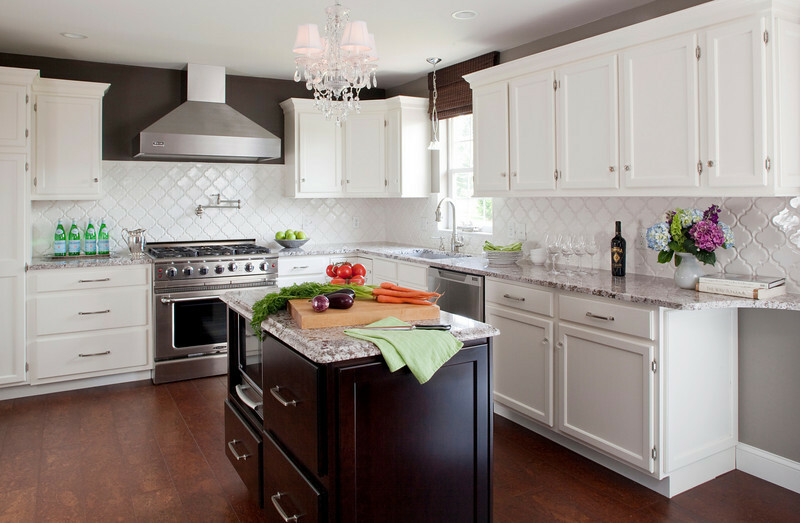 Residential interior design firm, Brynn Charles Designs, is based in Wayne. 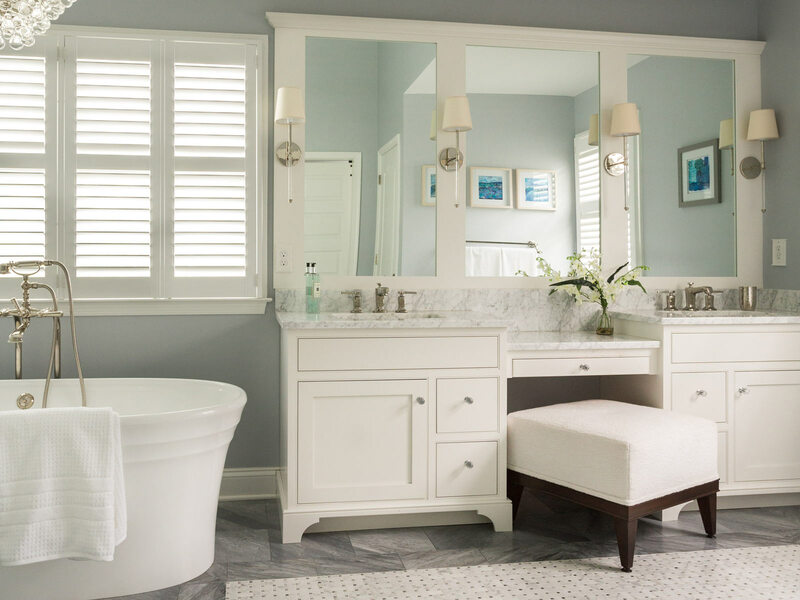 Owners Melissa Zimmerman and Jen Keaveney provide services including color consultation, bathroom, kitchen and bedroom design along with space planning. 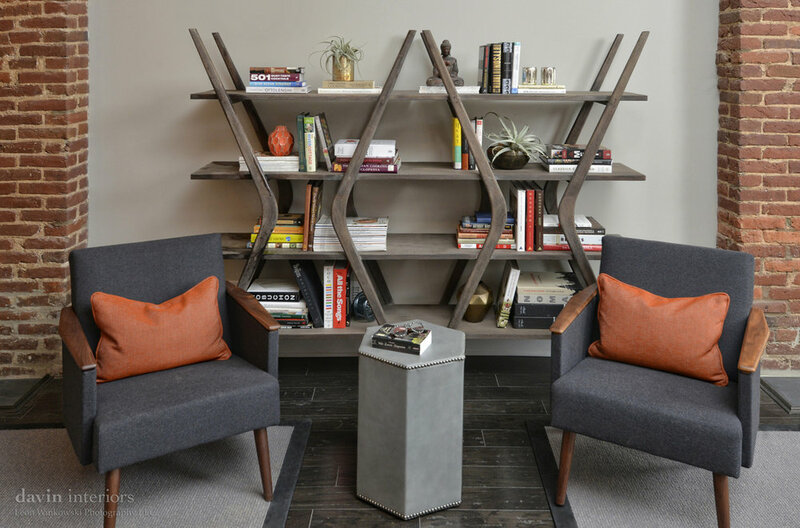 Creating affordable functional spaces that include lots of different textures, color palettes, and materials, Brynn Charles Designs brings enthusiasm and creativity to each design project, whilst understanding what it is their clients want to achieve. With plenty of top-class reviews from satisfied clients, the firm has won Best of Houzz Service Awards for the last four years. Founded in 2001 by Catherine Davin, Pittsburgh-based interior design firm, Davin Interiors, create dynamic interiors with a stylish flair. With over 25 years’ experience in the interior design industry, the team makes sure that each client not only receives a luxury home, but a luxury experience throughout the design process. 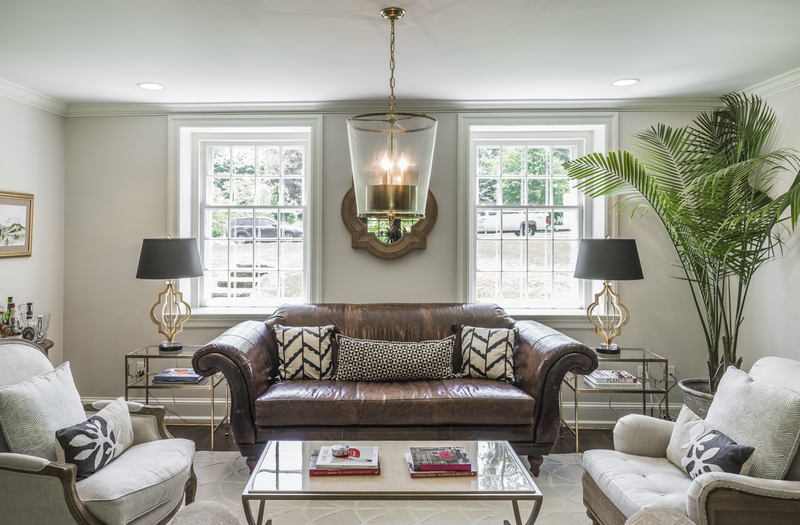 Communicating with clients during each project, Davin Interiors transforms properties into fresh spaces that are on-trend as well as timeless. 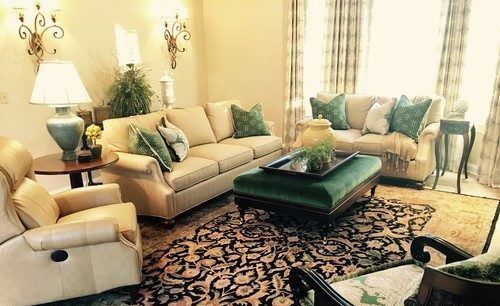 Danica Satell is an interior designer and realtor with over a decade of experience. Working full-time in both job roles, Danica is able to combine her knowledge in both fields to get a better understanding of a space and the vital elements that should be included within it. Classic interiors with a modern edge are the signature style of Designs by Danica, and her passion for creating beautiful interiors is noticeable within each space. The firm has gained plenty of recognition and its brilliant customer service has earned the team Best of Houzz Service Awards for the last five years in a row. 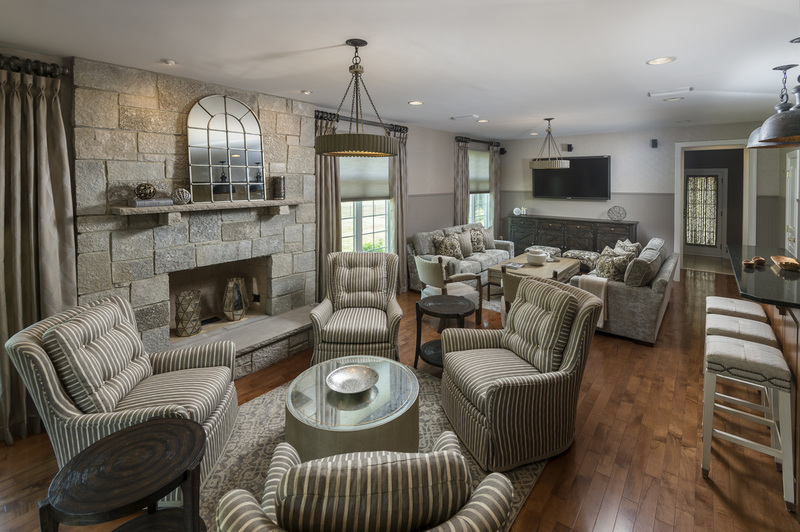 Residential and commercial interior design firm, Gacek Design Group is located in Bucks County, Pennsylvania. Founded in 2005 by Richard Gacek, the firm is inspired by historical architecture and often brings this into its designs. Gacek Design Group has a portfolio full of interiors with natural, organic color palettes, infused with striking details and accessories. With over 32 years’ experience of interior design and architectural consulting, Richard and his team strive to design show-stopping, elegant interiors that are meaningful to each individual client. 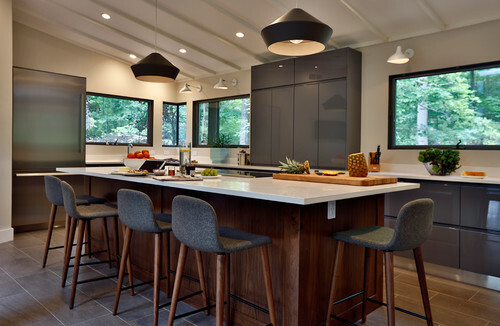 Since founding Revealing Redesign in 2006, Erin Cochran has worked on a number of interior design projects including renovations, restorations, and redesigns. 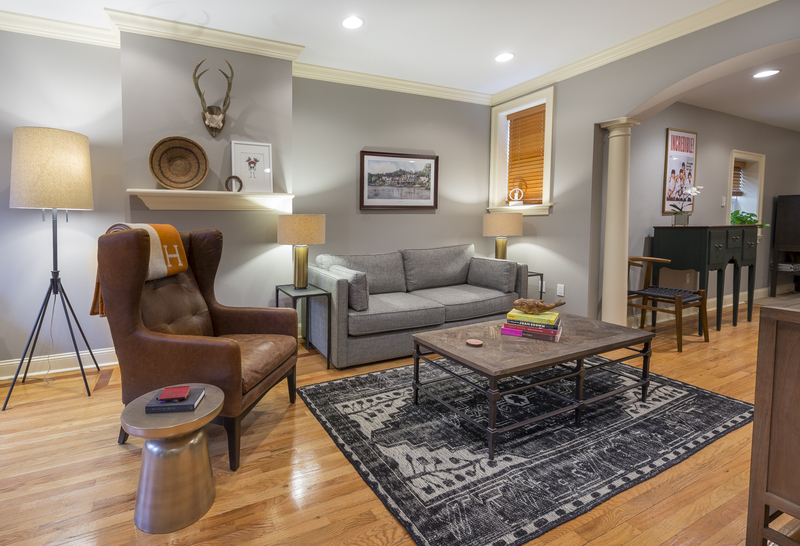 Whether it be helping clients get the best out of their current interior, or giving an interior a facelift, Erin and her team are passionate about making spaces work for their clients. 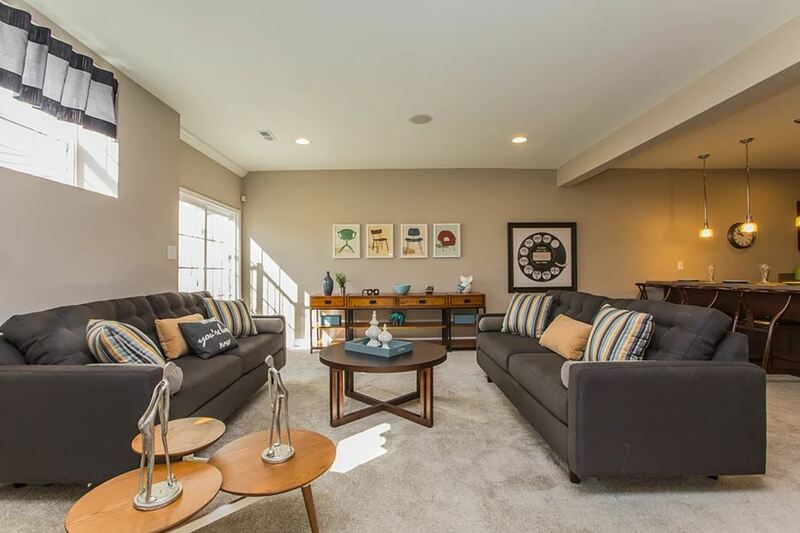 Erin, who refers to herself as a ‘house whisperer’ has a vision for each space and uses her meticulous attention to detail along with her eye for design to get the best out of each interior, no matter how big or small. 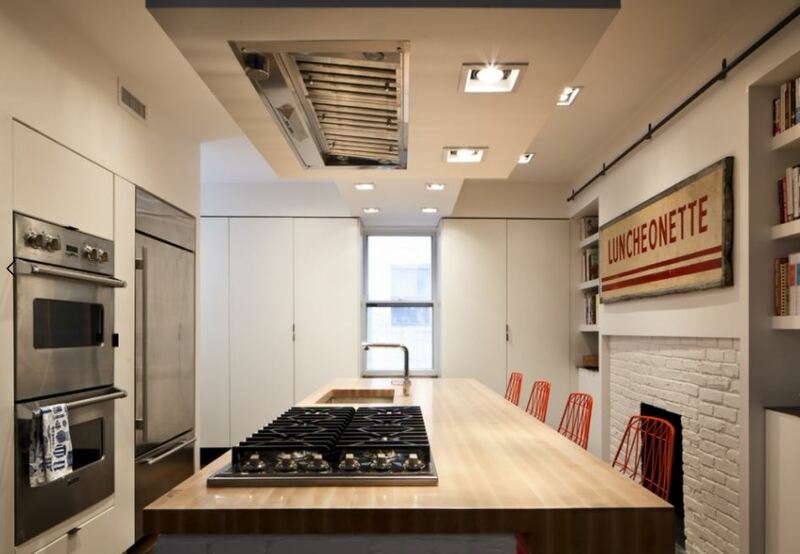 Founded in 2009 by architecture-enthusiast Chris Greenawalt, Bunker Workshop is an interior architecture firm, focusing on both residential and commercial projects. Working with a number of local craftsmen, Chris aims to provide personal, thoughtful design for each client. Bunker Workshop’s signature modern, clean interior style, is one that can only be imagined on magazine pages, so it is not surprising that the firm has been featured in many well-known online and print interior publications, including Design Milk, Apartment Therapy, Boston Home and Remodelista. Each interior that’s designed by Robert Jennings is a work of art. 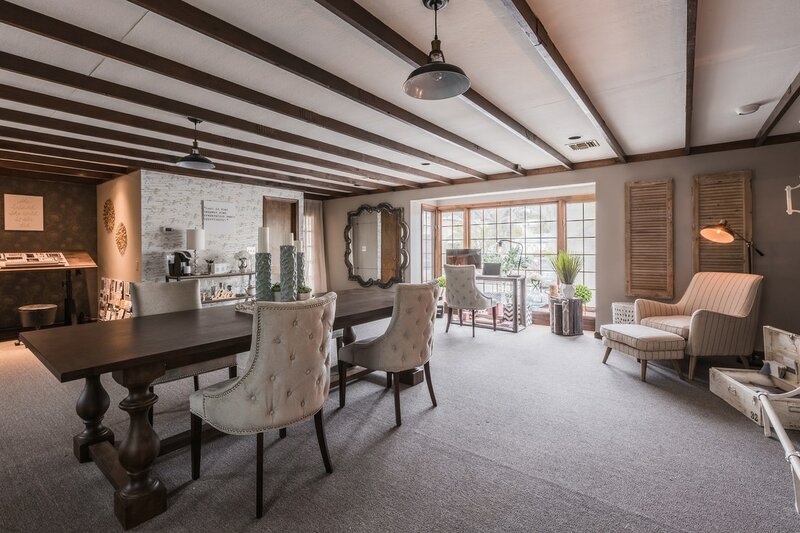 Based in the picturesque Pennsylvania borough of New Hope, it is obvious that this experienced interior designer takes inspiration from his natural surroundings. 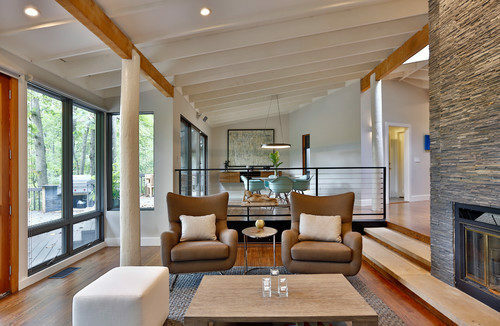 His seamless interiors often feature organic, earthy design styles with neutral color palettes. Combining architectural details with natural elements and the client’s personal style, Robert creates comfortable homes that continue to inspire those who step inside them. Many of Robert’s designs have been featured in interior publications, including a cover feature in Home and Table Magazine for a rustic, modern, wilderness retreat in which he was commended for his ability to blend the indoor and outdoor spaces harmoniously. 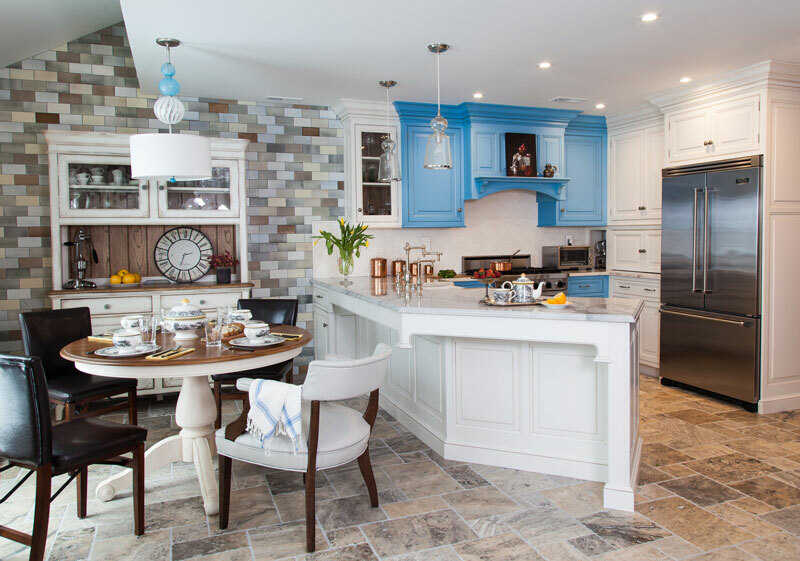 Running her interior design firm from the Philadelphia suburbs, Michelle Gage prides herself on creating magical spaces that are a true reflection of her clients. Michelle’s eccentric design style combines modern and vintage pieces alongside quirky patterns and trendy accessories, altogether creating stylish, livable interiors that are timely as well as timeless. Offering a whole range of interior design services, Michelle Gage has a package to suit every client’s needs. Extremely passionate about interior design and inspiring others, Michelle often contributes to publications, Apartment Therapy, and Domino, as well as writing her own interiors blog. 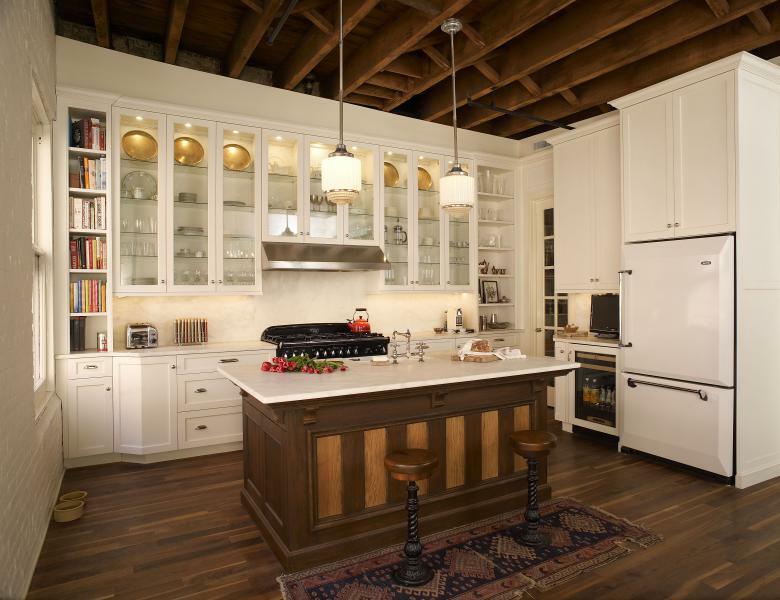 Full-service interior design firm, William Draper Cabinet Maker is a specialist in kitchen and bathroom design. 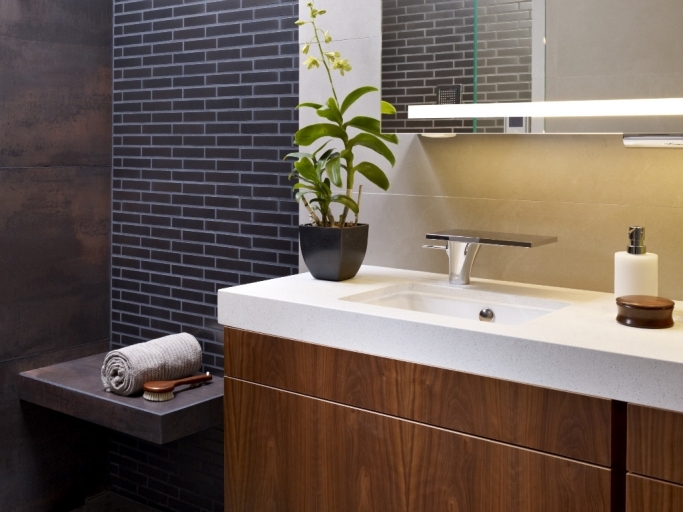 Providing interior design services as well as tailor-made cabinetry, each William Draper design is inevitably unique. 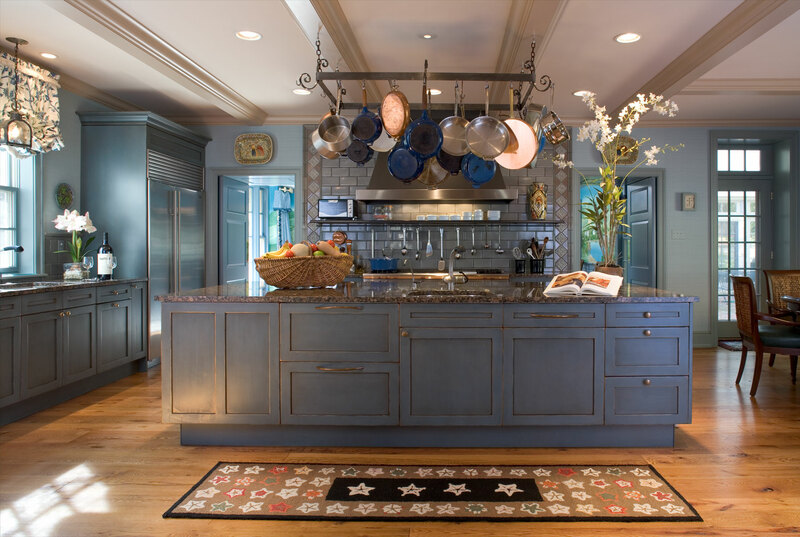 Based in the heart of Bucks County, the firm has a portfolio of custom-made designs, many of which featuring a modern-traditional country theme. William Draper has a growing client base and plenty of recommendations, no doubt owing to the firm’s first-class customer service and different approach to the interior design process. 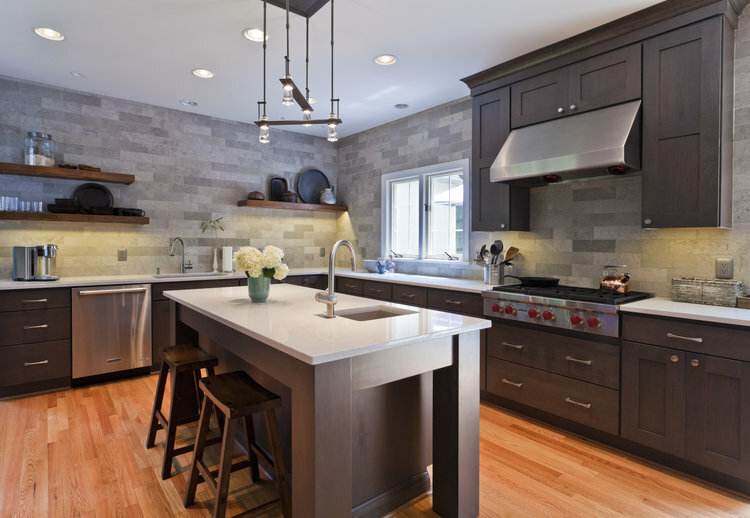 Situated in Elkins Park, Down2earth Interior Design is passionate about creating sustainable, low maintenance environments. Working with both residential and commercial clients, the firm aims to create productive, beautiful spaces that function perfectly, whether it be a hectic family home or a busy office area. The team of talented interior designers is headed by director, Amy Cuker, who has over 15 years’ experience in the interior design industry. Amy has used this knowledge and experience to teach at several higher education institutions including Drexel University, Boston Architectural College, New England School of Art and Design and Sacred Heart University. Headed by Ani Semerjian, Devon-based firm, Semerjian Interiors has a portfolio of work that includes a selection of high-end, luxury residential spaces. Ani’s glamorous yet elegant design style is owed to her Californian roots and allows her to combine modern and traditional aesthetics to create the ideal transitional home. 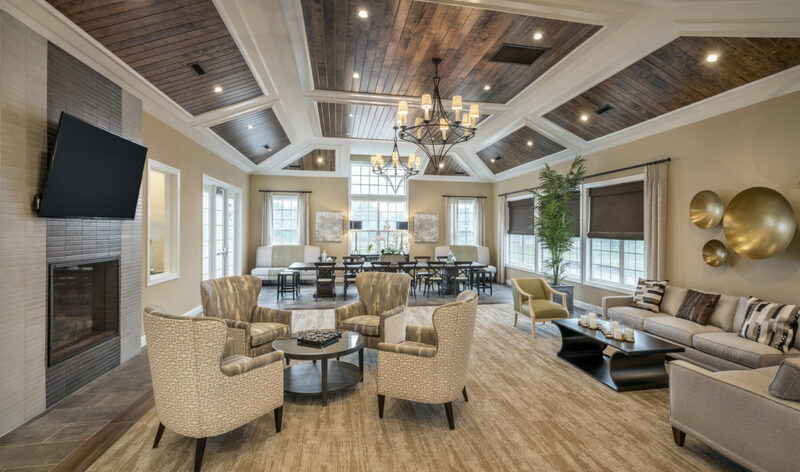 Offering a comprehensive design service, Semerjian Interiors strives to turn each space into a livable, balanced environment that encapsulates the details of each client’s personality and lifestyle. Praise from previous clients gives credit to Ani’s extraordinary style, attention to detail and exquisite taste. 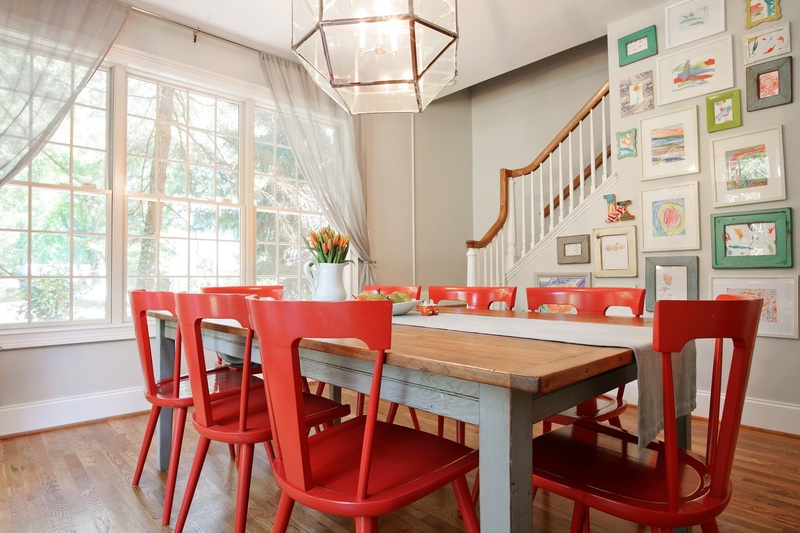 Barefoot Interiors is the brainchild of interior designer, Lisa Furey. 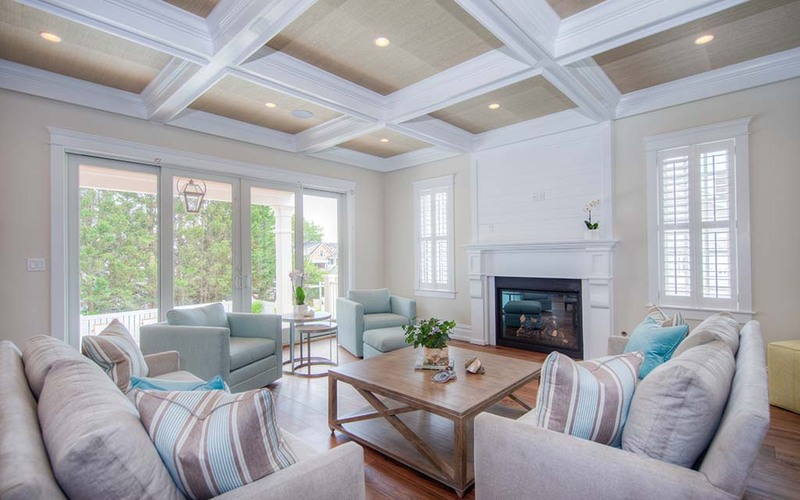 Serving areas including Pennsylvania, Villanova, Bluffton and South Carolina, the luxury, boutique interior design firm infuses a relaxed, chic vibe into each project. 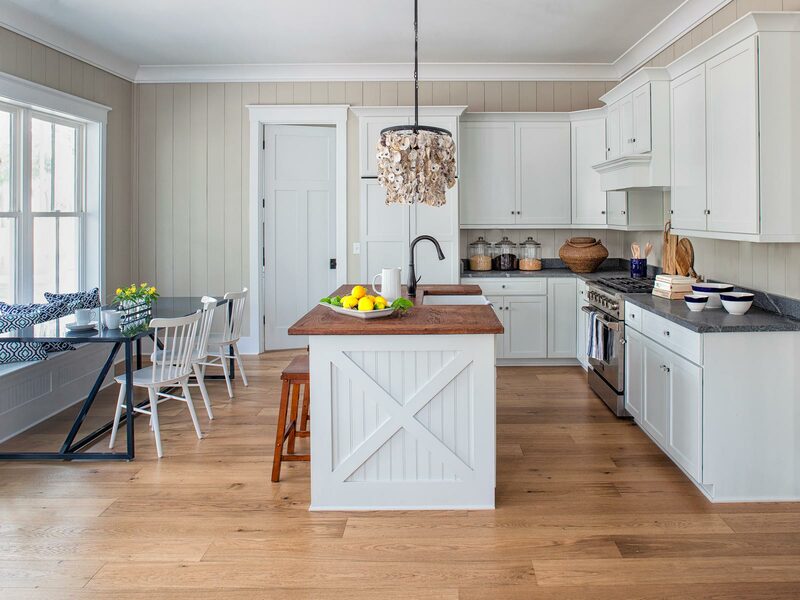 Founder, Lisa Furey, has worked on a number of different projects throughout the years, and although trends come and go her style has stayed the same, with many of her designs featuring organic, natural interior styles. Amongst the current projects Lisa is working on is her collaboration with Philadelphia’s Drexel University, in which she is designing luxury living spaces for its students. 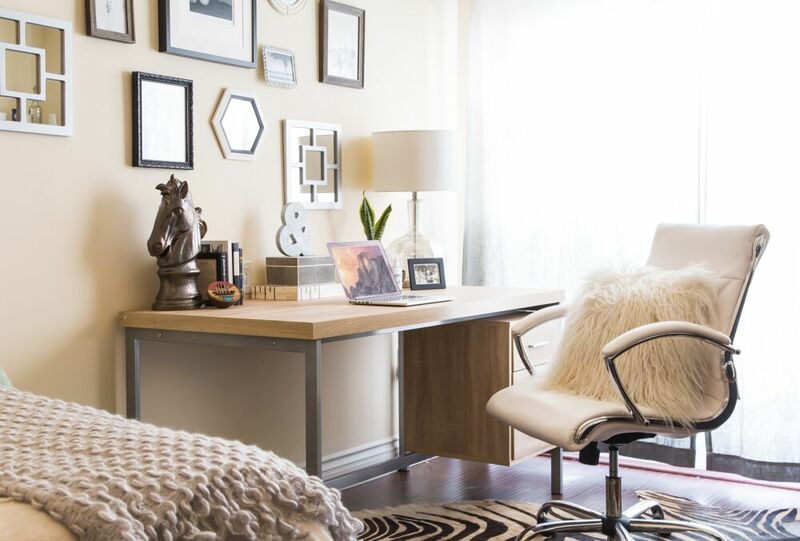 Karen Viscito founded her boutique-style interior design firm in 2012. Specializing in providing clients with custom products and finishes, Karen Viscito’s design style can be described as traditional, with infusions of modern glamour and color. Through incorporating timeless traditional pieces alongside modern elegance and bespoke items, Karen and her team maintain to provide a truly personalized design service for each client. 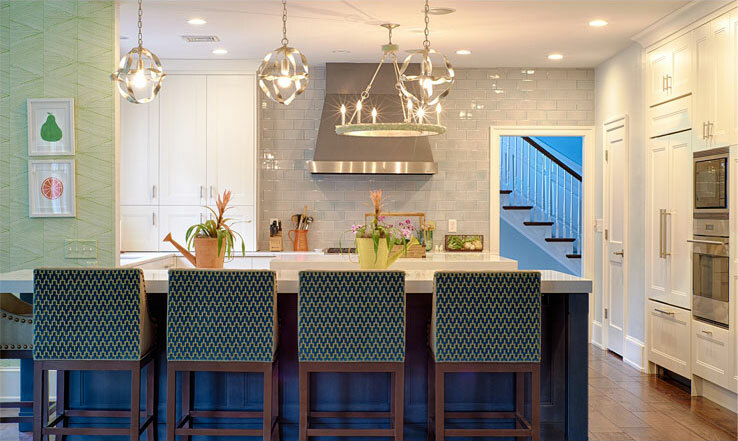 From kitchens to bedrooms and even outdoor spaces, Karen Viscito Interiors puts a transitional spin on every project, regardless of whether it is a new construction, remodel or renovation. 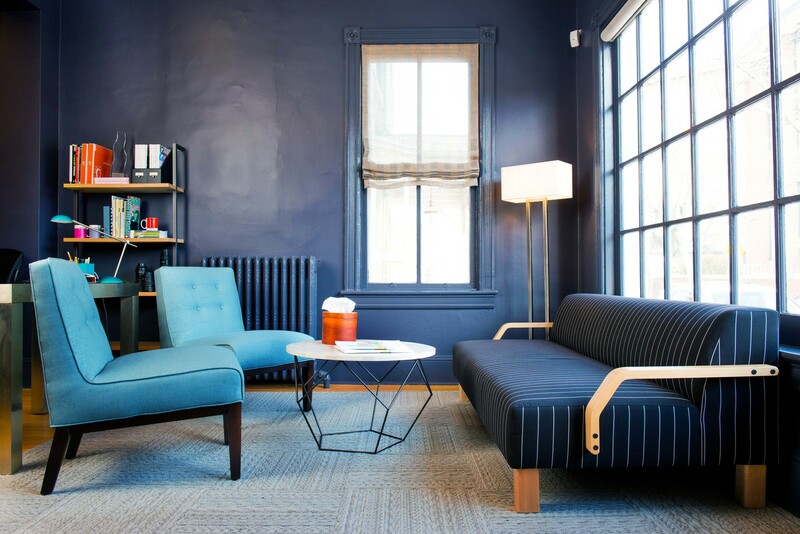 Henrietta Heisler Interiors’ headquarters is located in Lancaster, Pennsylvania. With a team of interior designers specializing in both residential and commercial projects, the firm creates functional, comfortable spaces with beautiful aesthetics. Founder, Henrietta has a sophisticated design style and is passionate about designing spaces that evoke excitement, harmony, and tranquillity. 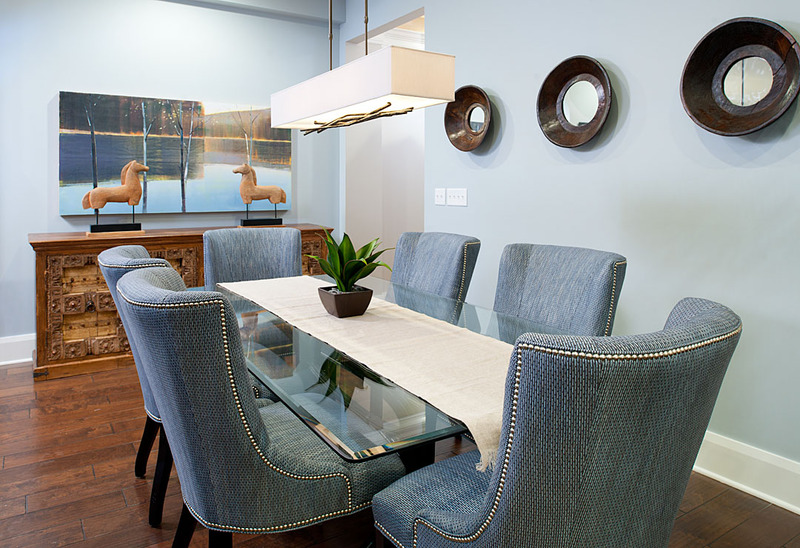 To help clients find a style that suits them, the firm owns a working design studio and showroom that features a selection of art, furniture, and home accessories, all available for clients to browse and discuss with their interior designer. 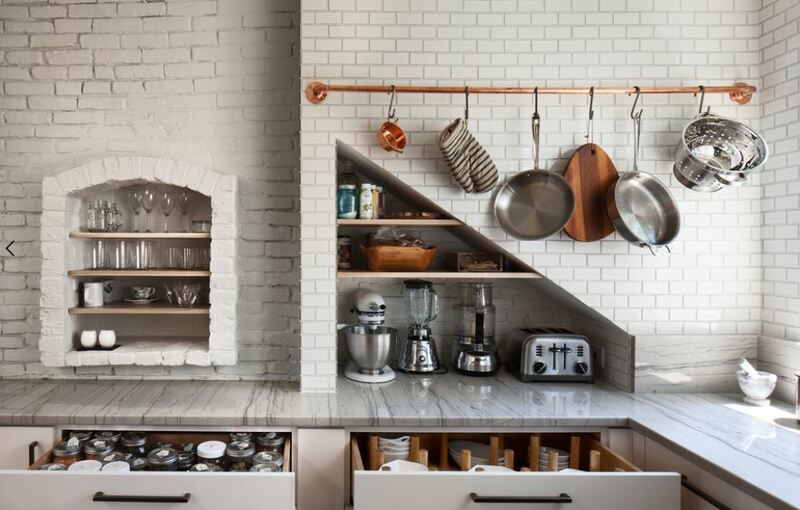 From quirky kitchens to rustic retreats, we hope you’ve taken lots of inspiration from our pick of the best 25 interior designers in Pennsylvania. Hannah enjoys putting together inspirational articles for The LuxPad and interviewing interior experts who are passionate about design. 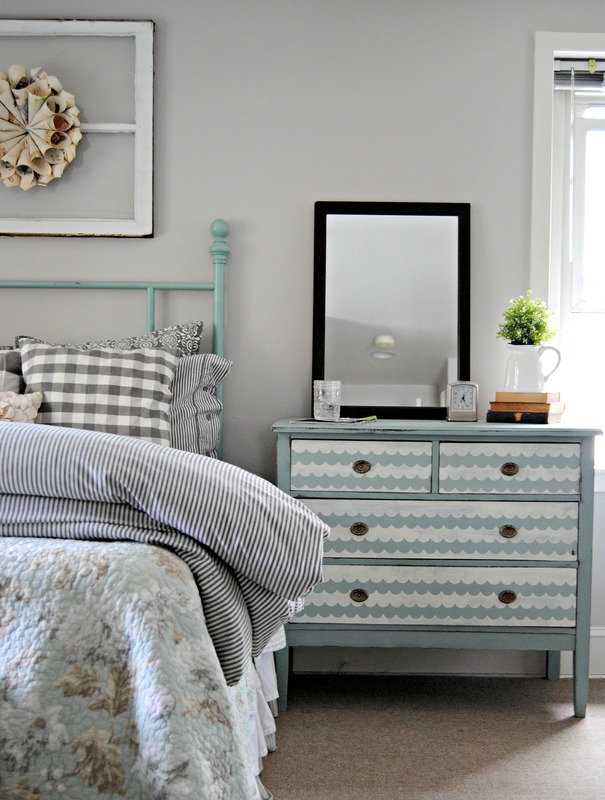 Always looking to learn new ways to create a beautiful home, she has a love of vintage and rustic interiors and a fondness for floral bed linen.